Ever hear this in church? For the 45 million persons who attend congregations related to member communions of the National Council of Churches, poverty ministries are not a sideline. They are at the very heart of our faith. Even a casual reader of the bible, including those familiar with the Psalms and Proverbs, is immediately struck by the sheer volume of references to God’s concern for the poor. The theme is repeated relentlessly in all holy writ, including the Torah, the Qur’an, the Bhagavad Gita, the words of the Buddha, and in millions of lines of religious verse. The message is clear: God has an unabashed focus on persons living in poverty. For Christians, the message is unmistakable, and Jesus makes the point with varying degrees of subtlety. In Luke 4, he asserts that God has anointed him “to bring good news to the poor,” which is nice, but in Matthew 19, he is unnervingly direct. When a rich young man asks him how to get to heaven, Jesus tells him to obey God’s commandments and “sell your possessions, and give the money to the poor.” For two millennia, we have blanched at this radical suggestion and convinced ourselves Jesus is being hyperbolic. But I doubt it. I think he’s making it unmistakably clear how much God loves the poor. Given all this evidence, it boggles the mind to consider how little attention we have paid to poverty. The one bright spot in our long history is the emphasis churches placed on giving alms to the poor, but principalities felt no such largesse. Less than a century ago in our own country, few politicians felt government had any obligations to help the poor, and people without means were left to fend for themselves. As the industrialization of the world intensified, the rich got richer at the expense of the poor. At the turn of the 20th century, workers – including their young children – were forced to labor in unbelievably degrading conditions while their employers luxuriated in extravagant homes. Considering the ample evidence of God’s prejudice for the poor, it’s hard to believe that the Social Creed was regarded as a radical document, but labor conditions in the U.S. began to improve. · Abatement of hunger and poverty, and enactment of policies benefiting the most vulnerable. · High-quality public education for all and universal, affordable, and accessible healthcare. · An effective program of social security during sickness, disability, and old age. · Tax and budget policies that reduce disparities between rich and poor, strengthen democracy, and provide greater opportunity for everyone within the common good. · Just immigration policies that protect family unity, safeguard workers’ rights, require employer accountability, and foster international cooperation. · Sustainable communities marked by affordable housing, access to good jobs, and public safety. · Public service as a high vocation, with real limits on the power of private interests in politics. Amid the strains of the current economic downturn, many of the proposals have become political hot potatoes as politicians in both parties fret that they will beget programs that the nation cannot afford or that will benefit persons who do not deserve them. The fact that the abatement of hunger and poverty or the provision of universal healthcare or the assurance of just immigration policies are subject to political debate is, to put it mildly, sinful. And God has gone out of God’s way to make that clear to us. A decade ago, the United Nations proposed Millennium Development Goals that call on the nations of the world to pool their resources to accomplish many of the objectives cited in the Social Creed for the 21st century, including the elimination of the level of poverty and hunger that kills millions of people around the world. Many social scientists, most notably Dr. Jeffrey Sachs, believe we have the means of doing just that. Of course, there are many critics who believe the elimination of killing poverty will never happen, and some of them suggest with dark Malthusian tones that it would not be worth the effort. “Since there will never cease to be some in need on the earth,” the Lord said, “I therefore command you, ‘Open your hand to the poor and needy neighbor in your land.’” (Deut. 15:11, NRSV). Working together, we can accomplish the abatement of poverty worldwide. But even if we fail, it is clear God is commanding us to make the effort. God is not on the side of social scientists, politicians, or cynics. Urban Connection--San Antonio making progress! Central Dallas Ministries planted a sister organization in San Antonio, Texas almost 8 years ago. We fly under the banner Urban Connection--San Antonio. Under the able direction of Leslie Grubbs, UC-SA is really making a huge difference in the Westside community where it is located. To check out more evidence of real progress, click here. There are useful approaches, ideas, and techniques we could learn from health care systems that are fairer, cheaper, and more effective than ours (pp. 44-45). Most nations try to drop the Out-of-Pocket Model as they grow richer (p. 151). In the process (of trying different reforms), the basic moral question that should drive reform --- do we want to give everybody access to health care? – gets swept aide… “The Clinton defeat,” argued political analyst Ezra Klein, “taught many that health care is simply too big, too complicated, and too dangerous to touch” (p. 163). Both countries (Taiwan and Switzerland) decided that society has an ethical obligation – as a matter of justice, of fairness, or solidarity – to assure everybody access to medical care when it’s needed. The advocates of reform in both countries clarified and emphasized that moral issue much more than the nuts and bolts of the proposed reform plans. As a result, the national debate was waged largely around ideals like “equal treatment for everybody,” “we’re all in this together,” and “fundamental rights” rather than on the commercial implications for the health care industry… President Clinton emphasized economics. The moral issue that drove major change in Taiwan and Switzerland never got really moving in the USA (p. 182). Whereas all other nations work from the time the line turns blue to introduce a healthy new person into their health care system, the United States first attends to its poorest mothers and newborns in the hospital on delivery day… Until we adopt a health care system that encourages it, preventive health care will remain largely inaccessible to far too many Americans (p. 202). Which inequalities will society tolerate? Is it acceptable that some people are left to die because they can’t see a doctor when they get sick? That question encompasses a more basic question: Is health care a human right?... Is medicine a commodity to be bought and sold, a product like a car, a computer, a camera?... The creation of a national health care system involves political, economic, and medical decisions, but the primary decision to be made is a moral one (p. 212). Twenty two thousand Americans (USA) die each year from treatable diseases (because they do not have health care) (p. 217). Does a wealthy country have an ethical obligation to provide access to health care for everybody? Do we want to live in a society that lets tens of thousands of our neighbors die each year, and hundreds of thousands face financial ruin, because they can’t afford medical care when they’re sick?... Every developed country except the United States has reached the same conclusion: Everybody should have access to medical care. Having made that decision, the other nations have organized health care systems to meet that fundamental moral goal. . . .
At the start of the twenty-first century, the world’s richest and most powerful nation does not have the world’s best health care system. But we could… We can heal America’s ailing health care system – and the world’s other industrialized democracies can show us how to do it (p. 239). (Though there is legitimate debate re. the health care rankings of countries, this is clear and not in dispute): there is a coterie of developed countries that are providing quality health care, distributing it fairly and equitably – and doing all that for much less money than the United States is spending (from the conclusion, at end of appendix – p. 256). Even if we found good ideas in other countries, could the United States find the political will at home to use them? One basic political truth about American health care is that our system is strongly resistant to change. The vested interests that are doing well in the health business now – insurance companies, hospital chains, pharmaceutical companies – have blocked significant restructuring of our system (p. 22). All the developed countries I looked at provide health coverage for every resident, old or young, rich or poor. This is the underlying moral principle of the health care system in every rich country – every one, that is, except the United States (p. 23). Every country on earth faces difficult problems in providing medical care to its people. Nobody’s system is perfect. There are health care horror stories in every wealthy country – and they’re true… But for all of their problems, the other industrialized countries tend to do better than the United States on basic measures of health system performance: coverage, quality, cost control, choice. What are we doing wrong? (pp. 26-27). When it comes to the essential task of providing health care for people, the mighty USA is a fourth-rate power (p. 28). How many people go bankrupt because of medical bills? In Britain, zero. In France, zero. In Japan, Germany, the Netherlands, Canada, Switzerland: zero. In the United States, according to a joint study by Harvard Law School and Harvard Medical School, the annual figure is around 700,000. For all the money America spends on health care, our health outcomes are worse on many basic measures than those in countries that spend much less (p. 31). The United States is the only developed country that relies on profit-making health insurance companies to pay for essential and elective care. . .
All the other developed countries have decided that basic health insurance must be a nonprofit operation. In those countries, the insurance plans – sometimes run by government, sometimes private entities – exist only to pay people’s medical bills, not to provide dividends for investors… The U.S. private insurance industry has the highest administrative costs of any health care payer in the world (pp. 36-37). If insurance companies have to cover everybody who applies, they need to have everybody in the insurance pool to cover the costs. All other developed countries require both “guaranteed issue” and the “individual mandate.” The United States has neither (p. 38). Our nation's healthcare system has become excessively expensive, ineffective, and unjust. Among the world's developed nations, the United States stands at or near the bottom in most important rankings of access to and quality of medical care. (pp. 8-9). The thesis of this book is that we can bring about fundamental change by borrowing ideas from foreign models of health care. For me, that conclusion stems from personal experience. I’ve worked overseas for years as a foreign correspondent; our family has lived on three continents, and we’ve used the health care systems in other wealthy countries with satisfaction. But many Americans intensely dislike the idea that we might learn useful policy ideas from other countries, particularly in medicine. (p. 11). Anyone who dares to say that other countries do something better than we do is likely to be labeled unpatriotic or anti-American… The real patriot, the person who genuinely loves his country, or college, or company, is the person who recognizes its problems and tries to fix them. (p. 13). Eisenhower’s strategic plan envisioned months of painful slogging across a shattered German countryside. But then his forward commanders reported an amazing discovery: a broad ribbon of highway, the best road system anybody had ever seen, stretching straight through the heart of Germany. This was the autobahn network… “I decided, as President, to put an emphasis on this kind of road-building.” (President Eisenhower – which led to the “Dwight D. Eisenhower System of Interstate and Defense Highways” – the Interstate Highway System). Eisenhower, the pragmatic commander, was willing to borrow a good policy idea, even if it had foreign lineage. (pp. 14 & 15). Each nation’s health care system is a reflection of its history, politics, economy, and national values. (p. 16). A book to read. 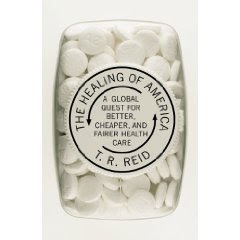 . .
Over the next few days and posts I intend to share quotes from a rather remarkable book, The Healing of America: A Global Quest for Better, Cheaper, and Fairer Health Care [New York: The Penguin Press (2009)] by T. R. Reid. The subject of the book has grown in importance to me as this past week I learned of a young man who is my friend who is facing brain surgery and has no health coverage, public or private. Unless something changes, after any treatment he receives his "pre-existing condition" will end any chance of coverage going forward. T. R. Reid is not afraid to bring a moral argument to this discussion. I appreciate that about him. Government and academic studies report that more than 20,000 Americans die in the prime of life each year from medical problems that could be treated, because they can't afford to see a doctor. That doesn't happen in any other developed country. Hundreds of thousands of Americans go bankrupt every year because of medical bills. That doesn't happen in any other developed country either. Efforts to change the system tend to be derailed by arguments about “big government" or “free enterprise" or “socialism" -- and the essential moral question gets lost in the shouting (p. 2). All the other developed countries on earth have made a different moral decision. Countries that are just as committed as we are to equal opportunity, individual liberty, and the free-market have concluded that everybody has a right to health care -- and they provide it. One result is that most rich countries have better national health statistics -- longer life expectancy, lower infant mortality, better recovery rates for major diseases -- than the United States does. Yet all the other rich countries spend far less on healthcare than the United States does. The primary issue for any healthcare system is a moral one (p.3). Recently, ABC television WFAA Channel 8, picked up on our students' garden at Central Dallas Ministries' After School Academy at Roseland Towne Homes. Enjoy and pass along to your friends! After 43 years of frustration, many during which fans learned to wear brown bags over their heads, the New Orleans Saints won a trip to Super Bowl XLIV with a 31 to 28 win over the fairly amazing Minneapolis Vikings. We lived in New Orleans for five years while I attended seminary (New Orleans Baptist) and graduate school (Tulane University). We learned what a great city New Orleans truly has been, was and is. Saints fans take loyality to the outer edges of reality! Now they have their champions. Two weeks from today they will take the field in Miami against the Indianapolis Colts led by Peyton Manning, son of Saints' legendary quarterback, Archie Manning. I'm sure Archie will pull for Peyton. I also bet there is a special spot in his soul that can't turn loose of a hope that the Saints prevail. In a sense, Archie Manning can't lose in this game. While living in New Orleans, I spoke in the Saints' chapel service. Archie Manning was in attendance, as was head coach, Hank Stram. It was the thrill of a lifetime for a young minister (25 years old). I have a regulation Saints helmet hanging on my wall. It will always be with me. You see, there's a code among Saints fans. Once a member of "Who Dat Nation," always a member. Way to go black and gold! Who dat?! 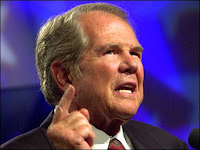 Week before last, The Minneapolis Star-Tribune published a letter from Satan to evangelist Pat Robertson, responding to his comment that Haiti 's persistent troubles, including the earthquake, are due to a pact the nation made with the Devil. Hard to understand the theology back of such a notion, but then, I've never understood Robertson, nor his appeal. Actually, it wasn't Satan who wrote the letter but Lilly Coyle of Minneapolis writing in the persona of the hellish one. I'll let you judge for yourself Ms. Coyle's assessment of the celebrity preacher's idea. For me, she's dead on right. But when you say that Haiti has made a pact with me, it is totally humiliating. I may be evil incarnate, but I'm no welcher. The way you put it, making a deal with me leaves folks desperate and impoverished. Sure, in the afterlife, but when I strike bargains with people, they first get something here on earth -- glamour, beauty, talent, wealth, fame, glory, a golden fiddle. Those Haitians have nothing, and I mean nothing. And that was before the earthquake. Haven't you seen "Crossroads"? Or "Damn Yankees"? If I had a thing going with Haiti, there'd be lots of banks, skyscrapers, SUVs, exclusive night clubs, Botox -- that kind of thing. An 80 percent poverty rate is so not my style. Nothing against it -- I'm just saying: Not how I roll. You're doing great work, Pat, and I don't want to clip your wings -- just, come on, you're making me look bad. And not the good kind of bad. 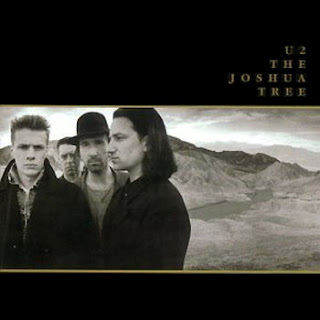 . . .opening track from U2's 1987 album, The Joshua Tree. "Where the Streets Have No Name is more like the U2 of old than any of the other songs on the LP, because it’s a sketch - I was just trying to sketch a location, maybe a spiritual location, maybe a romantic location. I was trying to sketch a feeling. I often feel very claustrophobic in a city, a feeling of wanting to break out of that city and a feeling of wanting to go somewhere where the values of the city and the values of our society don’t hold you down. An interesting story that someone told me once is that in Belfast, by what street someone lives on you can tell not only their religion but tell how much money they’re making - literally by which side of the road they live on, because the further up the hill the more expensive the houses become. You can almost tell what the people are earning by the name of the street they live on and what side of that street they live on. That said something to me, and so I started writing about a place where the streets have no name." Of course, Bono's on to something that we all recognize in our own cities. What if we lived in a community where the value of the human capital was not linked to nore judged by place of residence, income level, race, religion or educational attainment? What if we all began to recognize the inherent worth, in real world terms, of every single person living in the city we call home? What if status was determined by generosity, commitment to neighborhood and one's fellow citizens? What if the names on the street signs simply told us our geographic location in our increasingly smaller world? I think I get this song. How about you? President Obama on living through our winter. . .
President Obama spoke last Sunday to the historic Vermont Avenue Baptist Church in Washington, DC. His sermon, like most all of his speeches, was very good. He pointed to the challenges of our day and looked back at a sermon that Dr. Martin Luther King, Jr. presented to the congregation a generation ago. While the entire message is worthy of your attention, the last two minutes of the sermon reveal a great deal about this president's personal faith. Very open. Very honest. Very inspiring. Dr. Martin Luther King, Jr. stayed on mission. . .always. 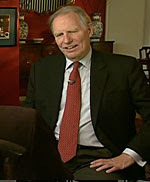 His brief acceptance speech upon receiving the Nobel Peace Prize illustates King's ability to stay on task no matter what his setting or context. Powerful words from a prophetic and heroic world leader. The speeches of Dr. Martin Luther King, Jr. have been published broadly since his terrible death. Of course, his most famous speech, "I Have a Dream," occupies its rightful place in the "hall of fame" of American rhetoric. Yet, other powerful, prophetic addresses by King have been set aside, at least in the popular mind of the nation. This week we celebrate his birth. It seems a good time to recall his controversial address on the war in Vietnam. King regarded the war as a "war on the poor." We live in a time of war again today, though most of us have no direct contact with its costs or sacrifices. King's words may not be easy to hear. You may not agree with his analysis or judgment. But the speech needs to be heard and not forgotten. A knock on the door. 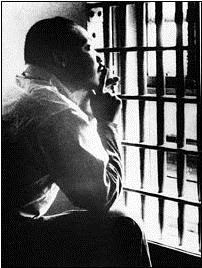 . .
Dr. King and his family paid a price to secure justice for millions and to liberate both oppressed and oppressors. In the following clip we witness his own inner struggle with the work he had been called to perform. Can our religion come to grips with our world today? Our AmeriCorps National Day of Service in honor of Dr. Martin Luther King, Jr. turned out to be extra special this year. Dallas Cowboys legend and NFL super star, Emmitt Smith, along with his wife, Pat and their four children, showed up to work with a portion of our AmeriCorps team on Congo Street. Here are a couple of photos with more to come along with a full report in days ahead. Dr. Martin Luther King, Jr. had a way of putting things, didn't he? The same struggle he faced and battled continues. The struggle for justice and peace changes, it adapts, it hides, only to surprise us again and again with its hatred, setbacks and disappointments. Dr. King always found a way to offer a word of encouragement. I listen to him whenever I'm tempted to let up or give up. The piece that follows is among my favorites. Paul Farmer, Partners in Health, appeared on 60 Minutes. To watch the interview click here. 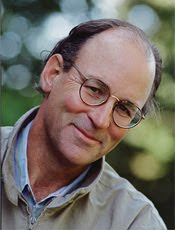 Click here to read Tracy Kidder, author of Mountains Beyond Mountains, reflect on the earthquake disaster in Haiti, as well as on his important work of bringing preferential health care to the poor on the island for the past 20 years. A leader for justice who will not disappear. I'm really liking what Todd Bouldin writes in a recent blog entry. Over the past two days, I’ve seen numerous Tweets and Facebook messages vilifying Pat Robertson for his comments about the disaster in Haiti that he alleged was the result of a pact Haiti made with the devil. Of course, Pat also must have made some deal with the devil to even espouse such comments in the wake of enormous human suffering. These posts were right to point out his evil ways, but is anyone really paying attention to Pat Robertson anyway? Some of my more progressive Christian friends were outraged, but in all fairness, I hope they understand that most evangelicals are not even listening to Pat anymore. Katrina put the nail in his coffin when he blamed the hurricane on voodoo, homosexuals and feminists. Pat Robertson is not the problem. 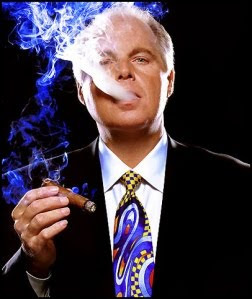 Rush Limbaugh is. At the invitation of president Obama, former presidents Clinton and Bush joined forces earlier this week to lead US citizen efforts to bring much-needed disaster relief to Haiti. Here's what President Clinton said yesterday. All of us should act today. I'd love to hear stories from folks who've done something in response. Here' information on an event that has become annual and has assumed considerable importance in the larger Dallas community. Hope you'll plan to attend! DALLAS, Jan. 6, 2009: The Dallas Institute of Humanities and Culture will present the Fifth Annual Martin Luther King Jr. Symposium, “I Have Dream: The Promissory Note,” on January 18, 2010, 6PM-8:45PM, at the Winspear Opera House in Dallas. 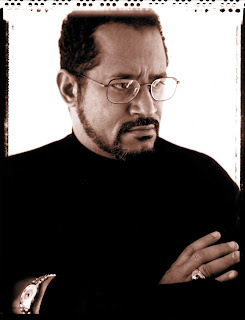 Keynote speaker is author Dr. Michael Eric Dyson, who was named by Ebony magazine as one of the hundred most influential black Americans. ALON USA is the presenting sponsor. Keynote speaker Dr. Michael Eric Dyson is the author of sixteen books, including “April 4, 1968: Martin Luther King Jr.'s Death and How It Changed America,” “Holler if You Hear Me,” “Is Bill Cosby Right?” and “I May Not Get There With You: The True Martin Luther King, Jr.” He is currently University Professor of Sociology at Georgetown University and lives in Washington, D.C. The evening will begin with a reception and light buffet at 6PM. The program will begin at 7 PM with Dr. Dyson’s keynote address, followed by a discussion until 8:45 PM. The MLK Symposium is open to the public, but attendance is by reservation only. Admission is $20; admission for teachers and students is $10. Group rate for 10 or more is $15 per ticket. To register, call the Winspear box office at (214) 880-0202 or go to www.attpac.org. For more information, call (214) 871-2440 or visit www.dallasinstitute.org. Corporate sponsors include: ALON USA (Presenting Sponsor); Baylor Health Care System; On-Target Supplies & Logistics; AT&T; and Oncor. Individual sponsors include: Mr. and Mrs. Albert C. Black, Jr.; Mr. and Mrs. John R. Castle, Jr.; and Mr. and Mrs. J. McDonald Williams. The program is also supported by the City of Dallas Office of Cultural Affairs. Community partners include: Central Dallas Ministries; E.K. Bailey Ministries, Inc.; Foundation for Community Empowerment; and the African American Museum. Members of the MLK Advisory Council for The Dallas Institute of Humanities and Culture include: Albert C. Black, Jr., president and CEO, On-Target Supplies & Logistics; John R. Castle, Jr., attorney and current chairman, Dallas Foundation Board of Governors; LaQuita Hall, AT&T vice president, Southwest Core Network; Shirley Ison-Newsom, director of Learning Communities, Dallas Independent School District; Veletta Forsythe Lill, executive director, Dallas Arts District; Dr. Nancy Cain Marcus, community leader and adjunct professor of humanities, University of Dallas and Southern Methodist University; Jeff Morris, president and CEO, ALON USA; and Ellen Williams, community leader. The Dallas Institute of Humanities and Culture is a 501(c)3 nonprofit educational organization with a 20-member Board of Directors comprised of community leaders. Created in 1980, The Dallas Institute is Dallas’ only center for creative and intellectual exchange that provides enriching programs for the public that are grounded in the wisdom of the humanities, laying the foundation for Dallas to realize its full potential for cultural excellence. The Dallas Institute is located at 2719 Routh St., Dallas, Texas 75201. For information, call (214) 871-2440, or visit www.DallasInstitute.org. Dr. Michael Eric Dyson will also be the keynote speaker at a special Teen Symposium at 3:30PM that afternoon at The Dallas Institute. His audience will be select junior and senior high school students from local public and private schools and the session will be aimed at encouraging the next generation to engage in the conversation that will continue to affect their futures. The current national debate on health care reform stirs up emotions while provoking heated argument even among friends. Just listen at about any water cooler in offices around town. Or, bring up the topic during coffee time before Sunday School next week and see what breaks out! Most of us enjoy the luxury of debate, hopefully friendly. For some individuals and their families the debate is anything but theoretical or abstract. Think for a moment. I expect you have a story or know someone with a story that moves quickly toward the harsh realities associated with no easy access to health care when most needed. Often we hear horror stories about how we'll all be forced to wait for treatement if health care reform passes the Congress. The fact is, millions wait today thanks to our current system that leaves almost 50 million Americans without access to comprehensive care. A few days ago, Dallas Morning News' columnist, Steve Blow reported the tragic story of Xavier Ramirez. I'm grateful to Blow for bringing reality into our theoretical arguments. For me, Xavier's story settles the issue and ends the debate. We need reform and we need reform now. I've published the entire story below. Take a moment to read it and let me know what you think. In all the talk of politics and policy, we sometimes forget why a health-care overhaul is needed in the first place. But Xavier Ramirez should remind us. The morning after Christmas, the 17-year-old student's body was found on the running track at his Fort Worth high school. He had been doing his family's wash at a nearby coin laundry. While the clothing washed, he apparently went for a jog on the track, collapsed and died. News stories mostly focused on the outpouring of young grief for the well-liked, much-admired young man. But there's another angle that deserved more attention. It may be too strong to say that Xavier died from lack of health insurance. But it's certainly why he never got the heart exams he needed. In the fifth game of his high school football season, near the end of the third quarter, Xavier asked to come out of the game. Paschal High School coach Matt Cook said that was highly unusual. Xavier was one of the most dedicated, hardworking players on the team. "He said he had taken a hit in the chest and was having a hard time catching his breath," Cook recalled. Xavier's heart was racing even when the game ended. A trainer insisted they go to the hospital emergency room to check it out. Doctors at John Peter Smith Hospital performed a few tests on Xavier. They discharged him that night with instructions to get follow-up cardiac testing. And that's when Maria Martinez discovered that she had no health insurance on her son. He had been covered under the state's Children's Health Insurance Program. But Martinez learned that she no longer qualified. Her income was just dollars over the limit. Martinez works at a company that manufactures plastic bags. When she tried to get Xavier on the insurance there, she was told he couldn't join outside the enrollment period. It's possible the pre-existing heart condition wouldn't have qualified for coverage anyway. Martinez worried endlessly about her son's heart. She was desperate to get the tests done. Xavier, on the other hand, was sure he was healthy. He wanted the medical tests just to clear him for a return to sports. Trying to satisfy both mother and son, Coach Cook began looking for a solution. The local children's hospital said it would begin the tests if the family could pay $3,000 in cash up front. It might as well have been $1 million. Martinez is a single mother. Both Xavier and his older brother worked after-school jobs to support the family. On the advice of a doctor friend, Cook was helping the family write a letter of appeal for free care at the county hospital. They were still working on that when Xavier's heart apparently failed as he circled the track. For those of us blessed with good health and good insurance, it's easy to be cynical about health-care legislation. The need is more apparent to others. Like the mother who can barely speak through her weeping. And the coach who lost a model student and athlete. "I'm really upset that he didn't get the care he needed," Cook said. Xavier's family couldn't come up with $3,000 for the needed tests. But in the wake of his death, friends quickly raised $8,500 for his funeral. And somehow, for Cook, that makes it even worse. "It's mind-boggling that we can raise $8,500 to put somebody in the ground, but coming up with $3,000 to save somebody's life ..."
"I'm sick to my stomach," Cook said. For some reason I remember my 10th birthday. We'd had snow that winter (1959-1960). Santa brought me a great, new bike. It was red and white and chrome and very cool. I rode that bike into the ground and until I was too old and too embarassed to ride it any longer, even with the addition of the "longhorn" handle bars! Somewhere in the mix of that time and the celebration I recall thinking, "Fifty years from now--let's see. . .that'll be 2010--I'll turn 60!" Of course, that seemed a world away; clearly a lifetime down the road. So far away that I really couldn't imagine my ever making it to that point, let alone understanding what survival would mean or entail. Frankly, it feels like just another day to me. People around me seem to be taking it harder than I. Of course, I'm glad to have endured. Enjoying a 60th birthday beats any other alternative I can imagine. But, life passes and it fills up an hour, a moment at a time. I'm very grateful for the way time has filled my life. Last week I reflected with a friend on this matter of age and aging. We wondered together if we could make it 15 more years in the world of work and continuing activity. He didn't seem too sure! When I was ten, I couldn't really see 60. Now that I'm 60, I strain to see 80, but it is much closer than the horizon with which I contended back in 1960 as I rode that shinny new bike. Life is a mystery. Life is a gift. I expect we need to make the most of it. . .today. The video speaks for itself. I'm selling much of my current library of books. I hope you'll share this information with people you know in the Dallas area. I hope you'll drop by on Friday of this week to check out the sale. One note of correction: in the video I misspoke about my phone extension. To call me dial 214.823.8710 ext 116. Last week as I sorted through my books, my old files and other office junk deciding what to keep, what to toss and what to pass on to others, I came upon an old journal. Actually, it was a cheap composition notebook, the black and white, marbled covered variety. The notebook contained only one entry. Not sure how it ended up on the shelf, put away as if nothing else could be written on its pages. Day before yesterday, I transported 5 "Christmas Store" employees to Randy Mayeux's offices to help him move to a new building. The four women who crammed themselves into the back seat warmed up about 1/2 way over and began to talk about life and the weather (it was amazing!) and most importantly, their kids and grandkids. One of the women was 29. She had 7 children, the oldest 11, the youngest 2. She commented to us in a very routine manner that she always kept her children in the house after school. "They know to come in, get a snack, get their baths and watch TV." Her reason for the tight regime: too much violence in the Dixon Circle area. "Last night a gal was murdered on our parking lot," she commented without much emotion, expecting no real response. The others in the car responded with similar stories, but as if such was an accepted, expected part of life in their part of the city. I've witnessed this attitude before in Oak Cliff at Gladewater Rd. It is a survivor's mentality & I expect about the only way to make it through. But in each person there was a strength & a resilience to keep going and to provide good things for the children. I was amazed again at the nobility and power of the heart of these folk. I'm not sure what the "solution" is. Later that day, I met with [one of our big supporters]. When I told him of the situation with the family, he said, "Is there any way we can get her out of there?" Again, his heart was so right, but his thinking was not fully aware. The solution is not to remove people from the places of danger, but to transform the place[s]. To remove that mother would be to significantly diminish the quality of the neighborhood. We have much to do here. Though he tries in this performance, Jerry Caplinger is not Willie Nelson, but the lyrics still ring strong and true. Our communiites are stronger thanks to the complexity, diversity and energy of our immigrant neighbors. Here in East Dallas we're surrounded by immigrants from south of our border. I'm grateful that my Mexican and other Latin American neighbors found their way to Dallas. The vision of the "promise land" still shapes our national soul. During the coming battle over comprehensive immigration reform, we'd do well to remember the song's faith in the people of this nation. Celebration of a new home. . .
After over four years we've finally leased the first apartments to formally homeless persons at CityWalk @Akard! It's been a long, eventful, instructive journey to say the least. The building is not quite finished. We expect all of the housing to be completed by late February. Some parts of the retail and the 15th floor, market-rate condos will wrap up a bit later. Central Dallas Ministries will move into our new offices on January 19. To say the least, we are excited. Our new space is compact, efficient, simple, elegant and utilitarian. I intend to walk the housing floors every day to meet and visit with our new neighbors. Personal note: due to the fact that my new office is about 60% smaller than the office I've occupied for the past 15 years, I am selling a big part of my library. If you are in Dallas and are interested, contact me. The sale will be on January 15 from 9 a.m. until 5 p.m. The pricing plan on the books is very sophisticated. Hardbacks $2.00 each. Paperbacks $1.00 a copy! I had to share these photos of our executive team (L to R: Keith Ackerman, VP of Community Service/COO; yours truly, Gerald Britt, VP for Public Policy and Community Program Development; Steve Palma, CFO and Chief Development Officer), as well as part of our larger administrative team who will occupy the new office space in the building. If you live in Dallas, I hope you'll call and set a time to come down to visit. A grand opening celebration will take place at some point in March. After hearing Colum McCann interviewed over the Christmas break, I put his latest novel, Let the Great World Spin, on my "must read soon" list. The book is about life in urban America. Listen to an interview with him by clicking here. It occurred to me recently that middleclass and upperclass folks who accuse underclass folks of being lazy don't really understand life in the ghetto. When you have little or no hope of landing the kind of job that would allow you, literally, to work your way out of poverty and all of its deadends, a paralysis of hopelessness can set in. When it does, lots of people simply come to a halt. It is as if a wall emerges from the ground in the pathway and the parade of a person's life simply stops. Hopelessness may lead to a series of odd jobs; you know, hit and miss kind of work that pays a wage, but not one that's liveable or progressive. For lots of people the deadends of life signal an end to effort. "What's the use?" can become the fundamental question of life. And, until that question finds a reasonable answer, life is going nowhere. So, the next time you think "lazy," stop and reconsider. Get better acquainted with the power of hope and the devastating nature of hopelessness. 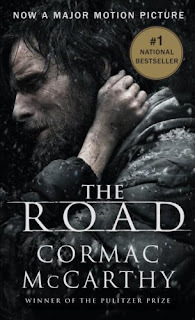 Cormac McCarthy's 2007 Pulitzer Prize winning novel, The Road, tells a dark and dreadful story about a man and his young son. The pair find themselves on the road, literally, making their way across a hostile, unforgiving landscape burned out presumably by a catastrophic event of universal proportions. Darkness prevails in every moment, around every turn in the story, save for the love of the man for his son and that of the son for his father. Their relationship, based on the fact that they "carry the light," provides the only relief from the prevailing dreadfulness. The passage below provides important insight into the place of worry and anxiety in the lives of children, no matter how small, young or seemingly unaware of difficult surrounding circumstances. This narrative sadly reminded me of so many children in the inner city. It follows an encounter the man and the boy experienced with a thief who made off with all their belongings. After catching the thief and taking their possessions back, the man sent the now naked thief away. The young boy now worries about the fate of the thief. The conversation between the man and his son begins. . . He's not gone, the boy said. He looked up. His face streaked with soot. He's not. Just help him, Papa. Just help him. The man looked back up the road. He was just hungry, Papa. He's going to die. The anxiety, the fear of our children must assume a place among our most pressing concerns as we do our work. It happened over a month ago. I've not wanted to write about what I observed, but something tells me that I should. Don't get me wrong, I appreciate and benefit from my church. I'm there most Sundays. It provides me great encouragement and inspiration. For me, church on Sundays at this point in my life serves as a true Sabbath, a time of rest, renewal and regeneration. In short, Sunday turns out to be a very selfish day for me. I'm not a very good church member. I just attend, soak it in and then hit it hard again on Monday. But, I'm avoiding the matter at hand. On the Sunday I have in mind, I dropped Brenda off at the front door, parked the car and walked across to the church. As I walked up to the side door, I spotted one of the ministers. He appeared to be involved in a rather animated conversation with another man. Getting closer to the sidewalk in front of the door, I realized he was talking to a homeless man, dirty, ragged and needing some assistance. I'm not sure what transpired before I drew within earshot of the conversation. As I came close enough to over hear what was being said, I realized that my minister friend was in the midst of a rather stern lecture to the fellow. "And, don't be asking our members for money when they come out of church," I heard him say to the man. The man's reply was inaudible, but his face seemed sad, reflecting resignation to treatment to which he'd grown accustomed over his years on the street. "Just go on down the street, now, just go on," the minister ordered the man. I wish I'd not seen the encounter. Oh, I know and understand the position of the minister. I've been there myself. I've been a lot tougher on people who've come to me seeking assistance. At times, I know I responded in the correct manner. At other times I know that I flat blew it. The situation with homeless people trying to squeeze out an existence on the street is so fraught with trouble and complexity that I can't sit in judgment of either the minister or the poor man. It is the church and its systems that trouble me as I think about all I observed on that Sunday. And, I expect it is my own failure in the moment and in other moments like it that troubles me. 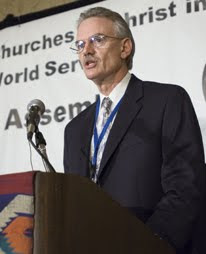 Churches just don't organize themselves to handle the rough, deeply troubling, messy, dirty, smelly, rotten circumstances of life, especially on the spur of the moment, you know at those times when people show up at the end of their rope and cry out for real help just when you're about to do something "really important." Or, maybe it's just that the needs of the organized religious community, especially on Sundays, trump the real time challenges of the street poor. I walked past the two men that morning. Maybe I should have intervened. Honestly, I didn't want to come off as thinking I knew best or better than my friend. Maybe that's just another cop-out on my part. What I do know is this: I went into the church, received a good dose of inspiration, went out to eat a nice lunch and came home and watched a football game. The dirty street person did as he was told, he went right "on down the street," not bothering anyone. But, I can't shake what I saw. The sadness in his face, that dirty, scarred, rough face looking out from under a filthy, green hoody--I have this feeling it was the face of God that I saw there on the sidewalk outside my church. That's what really unsettles me. I've never been much for "New Year's Resolutions." Something about my history of achieving failure so early in the year I guess just discourages me from making grand promises to myself about what I'll accomplish personally. Anyway, for 2010 I'm thinking more in terms of "objectives." That just seems much more doable, especially since realizing my goals or objectives will necessarily involve lots of other people who are part of the team around here. 1. Develop a new outreach and equipping center in a strategic location in S. Dallas/Fair Park that will enhance our ability to deliver hope and new opportunity to thousands of individuals who've had enough of poverty and are eager and ready for a brand new shot at life. This "center of hope" will address nutrition, health care, wellness, hard and soft skills employment training, access to high-quality grocery options, jobs and community renewal. 2. Play a part in the development of a significant number of additional permanent supportive housing units for the chronically homeless who at present live on our streets and in night shelters. 3. Oversee the intentional growth of a dynamic staff of urban workers for the good of our city wherever the opportunity emerging in 2010 takes us. 4. Deepen my day-to-day relationships with neighbors from the community who provide invaluable assistance to us as volunteers and paid staff. 5. Nurture new friendships with the residents at CityWalk@ Akard, the location of my new office beginning in January. If I can realize these objectives during the New Year, I will be able to look back at this time next year and feel a great sense of accomplishment and satisfaction. Putting this in print helps me, especially since I know your reading it! The next 12 months will tell the story of my success or failure. I think my objectives are clear. Of course, the rub is discovered in the work.